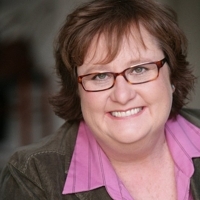 Maile Flanagan has worked on a variety of series (both on-camera and as voice talent), and she is perhaps best known to anime fans as the voice of the title character in the popular anime series Naruto. Flanagan’s acting career started at Boston College in an improv comedy troupe and continued in Minneapolis where she appeared on local stages. She has since flourished in many different live and animated roles. She was born in Hawaii, and it is interesting to note that Flanagan’s name is a Hawaiian word for the green laurel commonly used in leis.